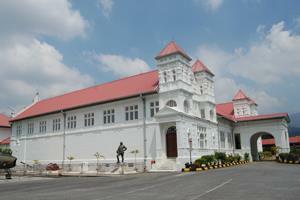 Taiping is the second largest town in Perak, after Ipoh. Taiping is well known for the frequent rainfall that occurs in the city, earning the nickname Rain Town. Due to this, the town is full of a fertile collection of flora so it is no wonder that some of the attractions available in Taiping are based on nature. 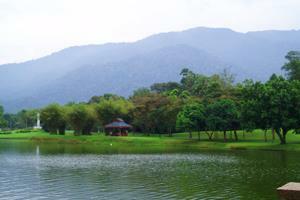 Despite its climate, Taiping still manages to get a large amount of visitors annually. And a couple of the most popular way to travel to this rainy city is by taking a train (KTM) or bus to Taiping. However, when considering the duration of the journey, people tend to opt for the bus to Taiping compared to the train. Taking the bus to Taiping also gives the passengers more variety when it comes to the drop off point, since the buses heading to Taiping have several drop off points in different locations for the passengers’ convenience. Some of them include Medan Simpang, Kamunting Jaya, Simpang Taiping and Taiping Bus Terminal. Perak State Museum, Taiping Lake Gardens, Maxwell Hill, Tulip Garden, Taiping Zoo, St. Louis Church, Matang Mangrove Forest Reserve, Kuala Sepatang, Kuala Gula Bird Sanctuary. Book your tickets for the bus to Taiping today!